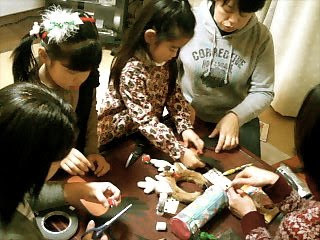 While the big kids were making cookies, the little ones were tracing their feet and hands to make tonakai (reindeer). The Rudolf nose looks a little funny in the photo, but the glittery red pom poms were really cute. 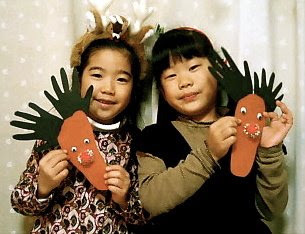 Click on the (post title) link to hear Akahana no Tonakai (Rudolf the Red Nosed Reindeer) in Japanese. It's even got the lyrics in romaji, so you can sing along! Would you believe I just made sugar cookies from scratch for the first time ever? Now chocolate chip cookies - that's another matter - I'm a pro at those. But little shaped cookies like these - yep I always just got those pre-made roll doughy things from the store. 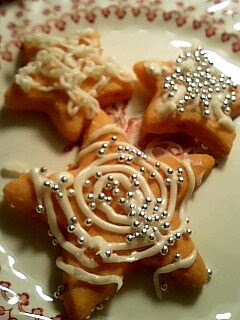 Of course they don't have such confections here, so I had to make them. 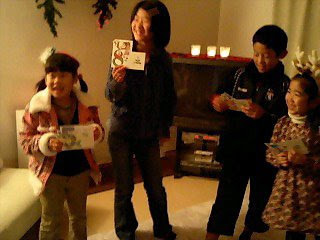 It was the perfect activity for my little neighbors here when they came over to my house for a kids' Christmas party last week. I'm currently working on my nengajo (New Year's card) in my painting class. 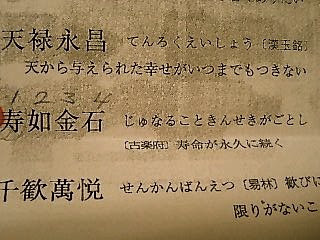 This page of Japanese is of kichigo (lit. "lucky language" = good fortune expressions) and the one with the numbers is the one I'm using as part of my nengajo design. I'm using a very old and very primitive style of lettering called kinbun. My design basically expresses the wish for the recipient to enjoy long life and prosperity. 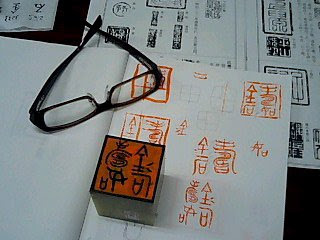 In this photo you can see some of my reference materials and the priliminary sketches of the design, which is composed of four elements to be carved onto a ~5cm x 5cm x 8cm stone. 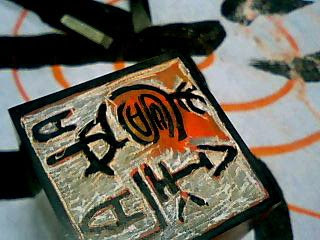 After my teacher ground the stone so that the top was flat, I painted the top orange (it's the same ink teachers use to correct calligraphy students' work) and then, using sumi ink, I painted the characters on the stone backwards (so that when I ink & print it, the design comes out the right way). Backwards? Heck, I can barely write this stuff forwards! If you look closely in this photo, you can see my stone resting on a practice paper from the calligraphy class - do you see the orange swirly lines? That meant that part of the calligraphy character was done well. You can also see my chisels in the upper part of the picture. 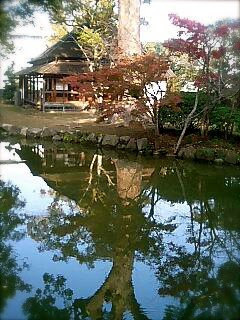 This festival is done by the first and second year students, as the third years are already studying hard for their university entrance exams. But everyone "gets to" (I think has to) come see all the performances and displays. 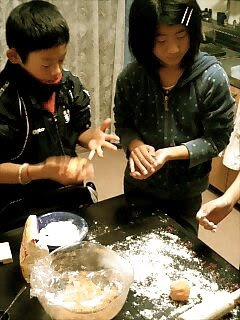 In this post you see the kids preparing for the festival, and in the next you see them on the festival day. It's such a fantastic community builder...I'm really going to miss these festivals when I go back. 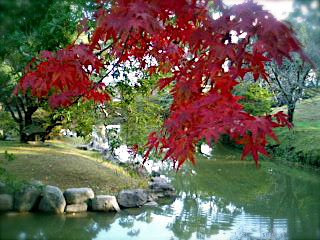 Or, I guess I'll just have to start some new traditions when I get back to the States next year! Here are photos from our school festival. make some sort of display. Here are some samples of what they did this year. it will take you to the photo collection. After dinner, one of the guys showed us around the ship. I really missed having my dad and brother there* on the tour, because they're much better at understanding all the stuff our informative guide told us, but I still thought everything was pretty cool! In the picture you can see the mine neutralization vehicle up on the deck. 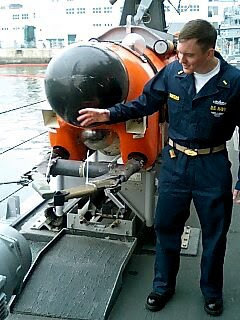 It's a remotely operated submersible used to hunt, identify, and neutralize underwater mines. 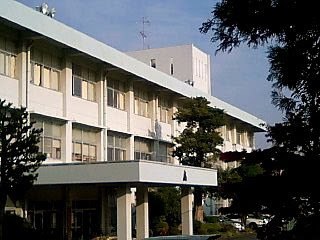 Sometimes the concept of war and its um... shall we say... various "accoutremements" is so abstract to me as I sit here safe in my little Japanese academic school. But seeing these men and walking on Guardian's decks, I got a little taste of reality. I mean, come on, how many of you run over & detonate mines all in a day's work? So, thanks again for having me for dinner, and thanks for everything you do, guys!